Good with crayons? 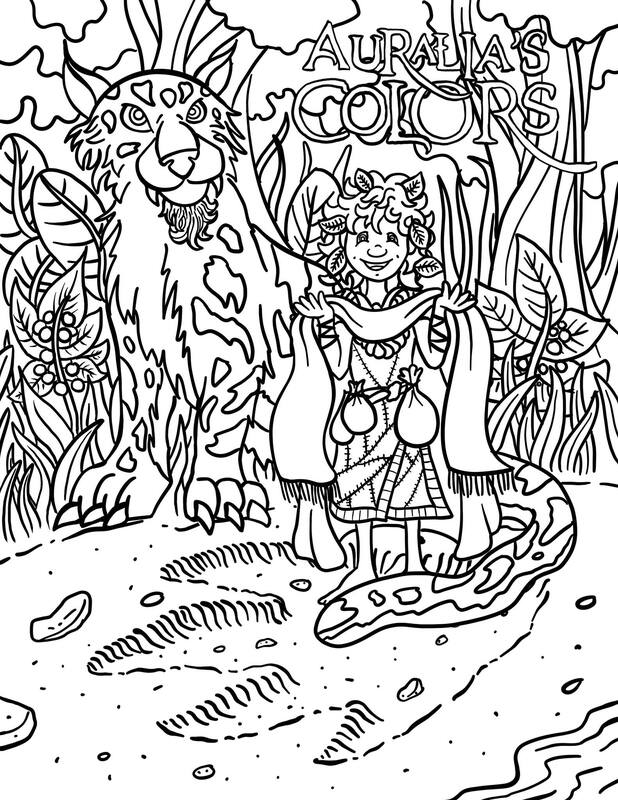 Enter Auralia's Coloring Contest. Do you have kids who like to work with crayons? Are you still a kid who likes crayons? If so, I’ve got a challenge for your imagination. And I might even have a prize for you. Since the release of my first novel — Auralia’s Colors — I have been surprised, delighted, even awestruck by the expressions of creativity that the stories have inspired in others. During the book’s initial run, my friend Adrienne Kerrigan designed a limited-edition collection of recipes for the various foods I’d invented for the characters of the Expanse. Readers have posted videos in which they perform the songs sung in the stories; they’ve composed original music for the lyrics they found in the pages of the series, and others wrote new songs entirely. … and yet it seems that readers felt free to go on reimagining things on their own terms. I’ve found images in the online galleries of art students — like Kristine Macasieb‘s impressive character studies and scenes from the series. I’ve reached out to the artists to thank them, and met some remarkable people. 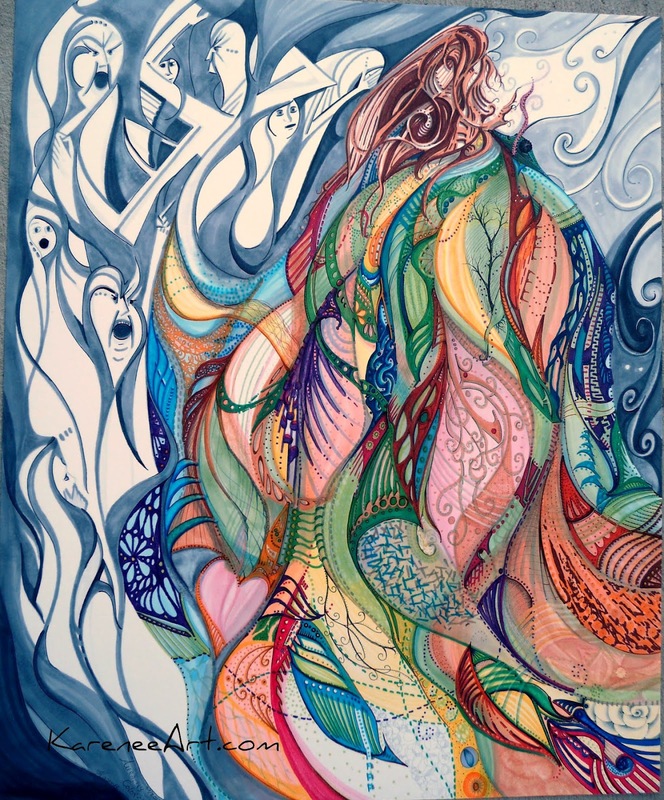 I’m particularly fond of the original work of Karen Renee, whose Auralia’s Colors image hangs on the wall of my office. That’s right in keeping with the series’ celebration of creativity. 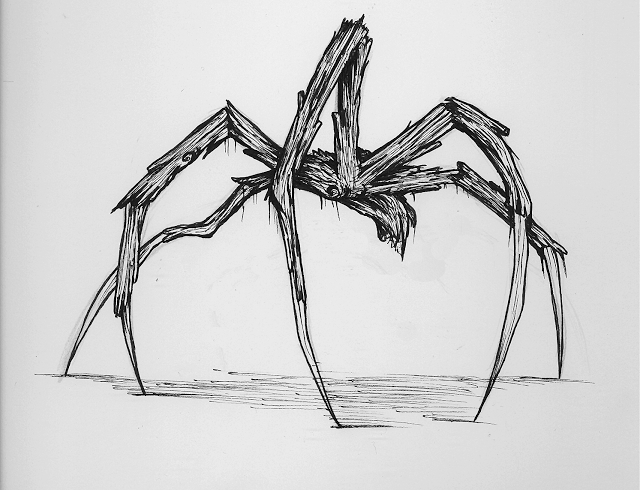 A viscorclaw — one of the creepiest critters you’ll encounter in The Ale Boy’s Feast. Illustration by animator Ken Priebe. A few summers ago, I chatted with an illustrator named Daniel Sorenson, one of the creative geniuses I’ve come to know at The Glen Workshop, Image‘s annual arts gathering in Santa Fe, New Mexico. (You can explore Daniel’s vivid illustrations of dragons, mermaids, and devious squids, and more, at his website.) After he designed an extravagant coloring book in collaboration with my friend Tara Owens, a spiritual director, we started talking about how much fun it would be to bring an Auralia’s Colors coloring book for kids into the world. Alas, we don’t have the resources to publish such a whole coloring book, but Daniel did compose an anniversary image that we are happy to share with the world. 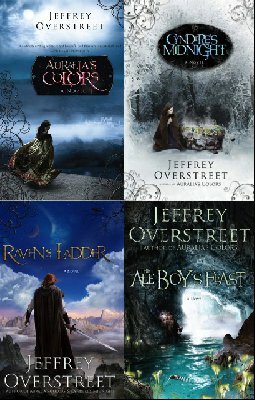 I’m offering signed copies of two books from the series — Auralia’s Colors, Cyndere’s Midnight, Raven’s Ladder, or The Ale Boy’s Feast — to the winner of an all-ages Auralia’s Colors coloring context. So, get out your crayons… or challenge your kids to use theirs. Maybe you prefer watercolors or colored pencils or a digital art program. Your method doesn’t matter — your imagination does. Find some time to play with the image posted below, and I’ll post the winning entry (with the artist’s permission, of course). It’s easy to enter this contest. Download and print this image at 8 1/2″ x 11″ or larger. Color it with any art supplies you like. Email your accomplishment to joverstreet@gmail.com with the subject line “Auralia’s Coloring Contest” before June 1, 2019. “Auralia and Dukas in the Cragavar Forest” — Illustration by Daniel Sorenson, 2018. 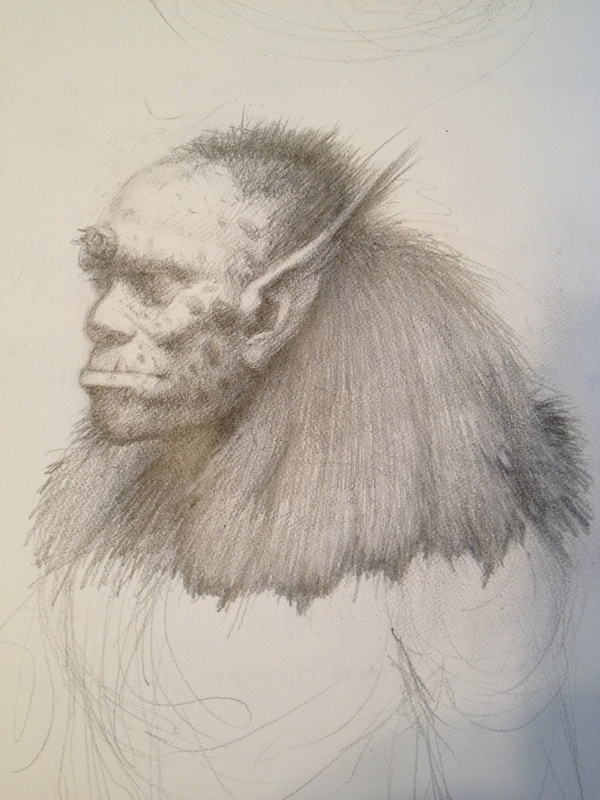 Many thanks to Daniel Sorenson for bringing yet another version of Auralia to life! Soon, there will be another celebration of Auralia coming your way — this time, for your ears. I’ve embarked upon the production of an audiobook — a homemade production you can play on your commute, your road trips, or wherever you listen to audiobooks. And hey, if you get inspired to illustrate your own visions of the characters, share them with me, and I’ll share them with the rest of Auralia’s readers!